We live in such a beautifully diverse and vibrant country, yet still, South Africans are not exploring it! The question we have to ask is: how can we help inspire our fellow South African’s to enjoy their South Africa? Introducing Sho’t Left Travel Week. 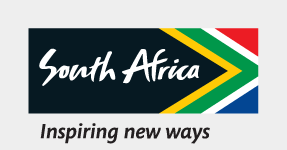 AAs South African Tourism we have partnered with Provincial Tourism Authorities to call on the local tourism industry to provide special travel offers for South African travelers this September. We would like our domestic travel trade players to partner with us, and list discounted deals ranging up to 50%. The validity period of deals will be at your own discretion. Deals must only be available to book from 24 to 30 September and total bookings must be reported to South African Tourism. By putting tourism experiences on ‘sale’ we hope to ramp up travel activities to the benefit of yourself, especially during off-peak seasons; to South Africans and ultimately, to our economy. What’s in it for trade partners? [VACANCY]: We are committed to building a better South Africa and we believe in investing in our youth as future leaders. Our Graduate Internship Programme is an intensive cross-functional programme which offers unemployed South African graduates opportunities to gain hands-on work experience in the Tourism Sector. The closing date is 29 April 2019 and no applications will be accepted. Visit https://bit.ly/2GprOKI for more information. [VACANCY]: An exciting opportunity exists for a Corporate Legal Services Specialist in the Office of the CEO at South African Tourism’s Head office in Sandton. The closing date is 22 April 2019 and no late applications will be accepted. Visit https://bit.ly/2VO7yaW to apply.